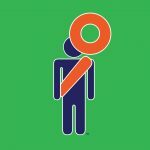 Are you participating in the 2019 Illinois Marathon April 25th- 27th? Since 2009, runners and walkers participating in the Illinois Marathon have made their miles count by dedicating their races to Crisis Nursery and asking friends and family to donate to the organization on their behalf. These friends of the Nursery are our Miles for Smiles Team FundRacers! This Miles for Smiles fundraising initiative has raised more than $30,000 to fund the Nursery's Safe Children and Strong Families programs. Whether you're running the 5K, 10K, an I-Challenge, half, or full marathon, consider joining our Miles for Smiles Team and give new purpose to your training by raising money for Crisis Nursery! In addition to completing your race goal, you’ll have the satisfaction of knowing that you are helping children and families in our community who have nowhere else to turn. The money you raise will go towards our Safe Children and Strong Families programs. When at full capacity, it costs $1,800 a day to keep the Nursery open. Our yearly goal for Miles for Smiles is to raise $15,000- enough to support more than a week at the Nursery! We encourage you to set an individual goal that you feel is appropriate and comfortable for you. Consider setting your sights high and sponsoring A Day at the Nursery by raising $1,800! 1) Contact Development Specialist, Rachael Graham at rgraham@crisisnursery.net or 217-337-2731 to sign-up for Miles for Smiles. 2) Visit our Crisis Nursery Crowdrise Fundraising Page to start your own fundraising page. Click “Fundraise for this Campaign" on the right side of the screen to get started and follow the easy steps. You will be asked to register with Crowdrise and can then customize your fundraising page—personalize it by uploading a picture, adding details about your race, and sharing why you decided to run for Crisis Nursery. 3) Invite family, friends, and colleagues to support your training and fundraising efforts. Some unique fundraising ideas include: keep a training log/blog online and ask followers to donate $.50/$1/$5 for each mile run…consider asking for donations in lieu of a birthday or anniversary gift… many workplaces will sponsor you or match donations… ask all of your Facebook friends to donate a small amount… the options are limitless! 4) Train for and run your race! 5) Feel great about finishing your race, and all the smiles you've helped bring to a child’s face! 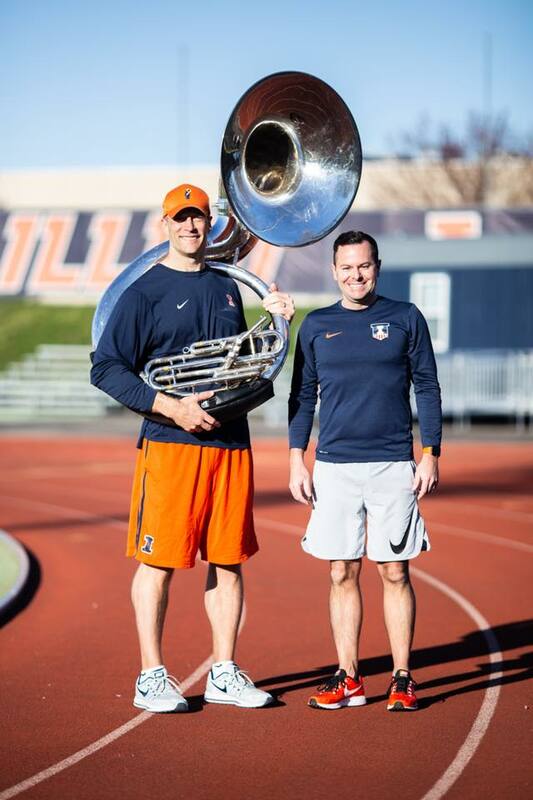 Barry Houser, Director of the Marching Illini, and members of the Marching Illini Sousaphones joined our Miles for Smiles Team in 2016 and have raised more than $16,000 dollars for the Nursery. Each year the Sousaphones set a goal to "Make Barry Run," once they reach that goal, Director Barry Houser joins them in the 5K. In 2018 they even got University of Illinois Director of Athletics, Josh Whitman, to join them in their run by reaching their goal of $6,500! "The physical challenge of running a 5K with a 40 pound souspahone is no comparison to the challenge many of our local children and families face on a daily basis," Houser said. "It is in thanks to the work and ongoing assistance of the 'Island of Safety' created by Crisis Nursery, that we continue to run this 5K. We are more than happy to assist in preventing and creating further awareness of child abuse prevention. Thank you for allowing us to TEAM up with you!" A BIG THANKS to the Marching Illini Sousaphones for their continued support!